The TRENDnet AC3200 TEW-828DRU is a powerful tri-band wireless router that’s designed to ensure the fastest possible speeds, the best latency, and the most worthwhile features. It’s compatible with a wide range of devices; it features handy parental control options and implements a pre-encrypted Wi-Fi network with ease, designed for your safety and convenience. No doubt, this is one of the top rated high end wifi routers of 2015, as it takes every trifle detail into account. 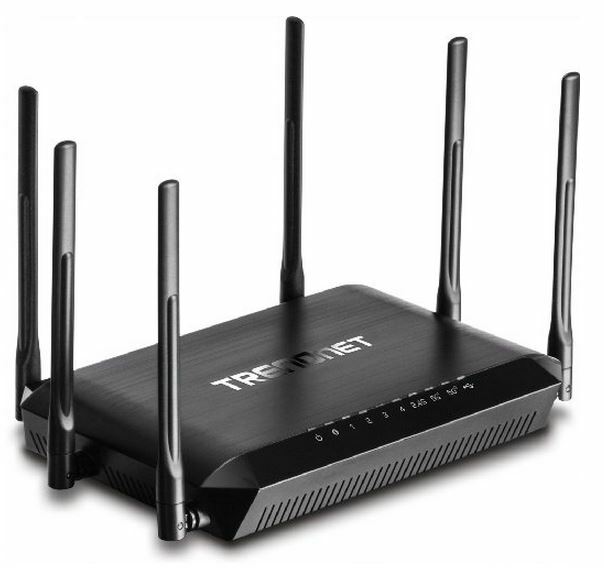 The price of the TRENDnet AC3200 TEW-828DRU varies from anywhere between $250 and $300, which is honestly an expensive investment for any router. Although it’s priced high, it’s packed with a multitude of advanced features that set it apart from the competition. One important thing that you’ll have to note is that the router is designed specifically for busy domestic (or office) environments. The main concept behind the concurrent tri-band technology is to separate the traffic and make sure that each user on the network benefits from top browsing and streaming experience. TRENDNet offers this as a fantastic solution for offices, big families, and shared Wi-Fi networks. If there are plenty of users or devices on your network, this router is definitely worth its price. However, if your domestic traffic isn’t overloaded, the TEW-828DRU may be way too advanced for you. Yes, it’s true that this router can ensure extreme performance and guarantee glitch-less video streaming, gaming, and browsing – all at the same time. However, you have to ask yourself – is your home network really that loaded? Unless you’re living in a huge house with 5-10 active Internet users in it, it’s highly unlikely that everyone needs three separate Wi-Fi bands. There’s one specific scenario that this router may come in handy – even for a small family. Different devices are equipped with different Wi-Fi chips. Some of them have higher speed capabilities, while some of them – lower ones. With a single Wi-Fi band, browsing speed will be defined by the slowest device. In other words, if someone inside your home network has an outdated phone, it may significantly decrease your Internet speed. You’ll unlikely notice this difference while browsing or streaming online videos. However, it will affect your upload/download speed and will definitely show on a speed test. If you’re looking for a comprehensive solution to this problem, considering the TEW-828DRU from TRENDNet is a smart choice. With the help of smart connect technology, the router automatically separates slow devices from fast ones. This feature is setup by default, so you won’t have to configure it manually. This way, you can ensure that all devices on your network are performing at their full capacity. The rest will depend on the device itself. Supported Wi Fi bands include supreme 1300Mbps AC networks and average speed N-networks. Just in case some of your devices still use older technology like wireless-B on your network, the router features an additional third band. There are no restrictions for any devices – the TEW-828DRU is 100% compatible with all makes and operational systems. Plus, it features a targeting technology that allows redirecting stronger Wi-Fi signals to faster, more powerful devices. Another important feature introduced in this router is an improved approach to some of the most sensible security issues. The TEW-828DRU has pre-encrypted Wi-Fi, protecting your network from unauthorized access. Like many other features, this setting is included by default – so no manual configuration is required to be protected. Apart from pre-encrypted, secured Wi-Fi, TRENDNet designed some very useful parental control features, allowing you to restrict access to certain websites. It’s also possible to create guest sub-networks that would be isolated from your devices, data, content, etc. Note that this is not one of the default settings, so you will have to create these networks manually. Internally, the powerful 1-GHz processor ensures steady, bug-free functionality without any lag. If, however, something goes wrong, there is a quick reset button. Additionally, the TEW-828DRU features two USB ports (3.0 and 2.0), which gives you a chance to connect several devices and enable file sharing. Another important advantage is the impressive coverage zone. A lot of routers boast long-range coverage in their specs, but not all of them can live up to the expectations. Yet, the TRENDnet AC3200 TEW-828DRU will unlikely disappoint you. 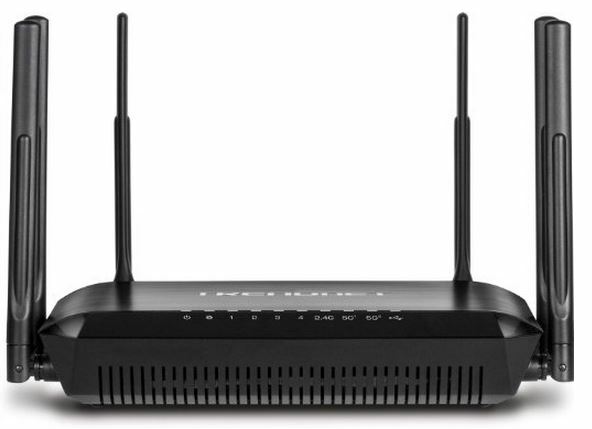 The router is equipped with powerful, long-range amplifiers that ensure maximum speed and glitch-free Internet connectivity in any part of your home or office. The only downside so far is the price. Surely, not everyone can afford to pay $300 for a router. Fortunately, not everyone has to. As it was already mentioned, the TEW-828DRU targets a specific audience – namely, people with diverse devices in one network, as well as users looking for enhanced security and additional control options. Finally, TRENDNet offers an extended, 3-year warranty on TEW-828DRU, which is another great perk. 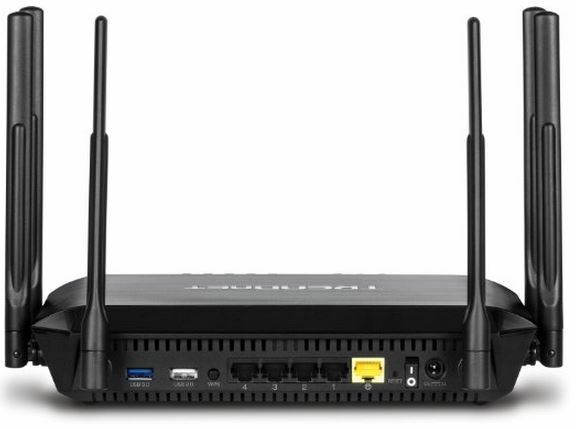 Overall, we must say that the TRENDnet AC3200 Tri Band Wireless Router is an exceptional choice if you’re in the market for the newest and latest WiFi technology. It’s easy to setup, it features enhanced protection with a wide range of parental control features, and is designed with a busy network in mind. The most important and impressive feature – tri-band technology allows separating slow devices from the fast ones, thus ensuring a premium user experience on your home or office network. 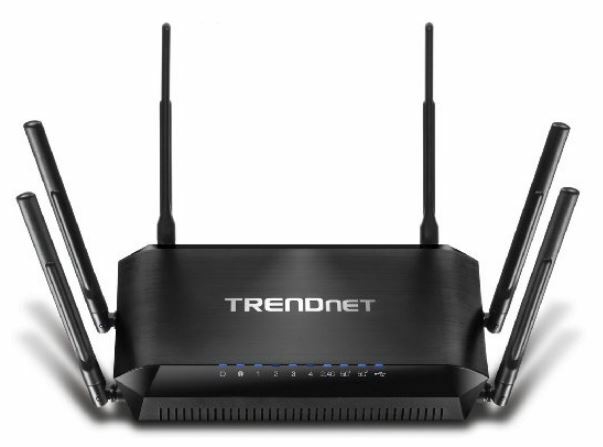 If you’re looking for a high speed wireless router that can support online video streaming, direct downloads, and glitch-free gaming at the same time with multiple users, the TRENDNet TEW-828DRU is a smart choice.